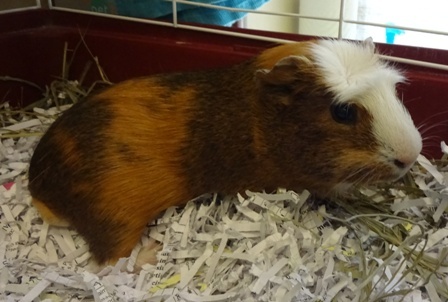 Arlo is a 4 month old, male, guinea pigs. Arlo would like a quiet home where they feel nice and safe. Will you provide these cuties with excellent care? You can find great care tips on our Animal Behavior Handouts!